What Is a Plumbing Bond? Plumbing specialists across the country often need to post a plumbing bond as a part of their licensing process. The bond may be required by state, county, or city authorities, depending on the plumber’s location. The goal of the plumbing license bond is to ensure that plumbers will follow all applicable laws. It ensures that your plumbing business will adhere to high professional standards and protects your customers and the authority that issued your license. 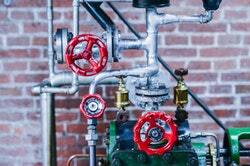 Just like other types of surety bonds, plumbing bonds are a three-party contract. Your plumbing company is the principal and your state or city authority is the obligee. The surety is the third entity that provides the bond and backs your business. Who needs to obtain a plumbing bond? How much does a plumbing bond cost? How do I get my plumbing bond? What happens in case of a bond claim? Plumbing specialists typically need to get registered or licensed with state or city authorities. In a number of cases, getting a plumbing license requires posting a plumbing bond. It is a safety net for the licensing authorities and plumbers’ customers against potential misuse and non-delivery while executing plumbing services. Some of the states that require a plumbing bond include California, Illinois, Minnesota, New Jersey and Iowa. The City of Chicago also requires a plumbing bond. When you start your licensing, it’s best to consult with your state or city authorities whether you need to post a bond. In Illinois, plumbing contractors have to get a $20,000 bond. It needs to be presented to the Illinois Department of Public Health. Plumbing contractors have to post a $25,000 bond with the Minnesota Department of Labor and Industry. New Jersey plumbers have to obtain a $3,000 bond. It’s required by the New Jersey Division of Consumer Affairs. California plumbers have to post a $15,000 bond to meet the requirements of the Department of Consumer Affairs’ Contractors State License Board. Plumbers in Iowa need to obtain a $5,000 bond. It’s one of the licensing criteria set by the Iowa Department of Public Health. Your bond price depends on the bond amount that you need to obtain. The requirement varies between states and cities. Typically, it is between $3,000 and $25,000. The bond premium is only a small percent of this bond amount. In a typical case, it’s between 1%-5% of the bond amount. If you need to provide a $15,000 bond, this would mean a premium in the range of $150-$750. Your bond price also depends on your financial stability. Your surety examines your personal and business finances, including personal credit score, business stats, and assets and liquidity. You can expect a lower bond cost if the risk of bonding you is considered low. Do you need more information on how your bond price is determined? Make sure to read through our surety bond cost page for further information. Lance Surety Bonds operates its Bad Credit Surety Bonds program to help plumbing technicians with financial problems. If you have a low credit score, tax liens, bankruptcies, or civil judgements, you can benefit from this option. You can expect your bonding rates to be in the range of 5% and 10%. Since the bonding risk is higher, the higher price is there to compensate for it. Still, with us you are guaranteed a top bonding premium. We foster close partnerships with a number of A-rated, T-listed surety companies, which allows us to shop around for your bonding option. You can start your bonding process with ease. Just apply online today for a free plumbing bond quote. Want to get an exact bond price? We will deliver it in no time after you complete your full application. If you need more details about the bonding process, you can consult our How to Get Bonded page. Call us at (877) 514-5146 if you need assistance with your application. Our bonding experts will be happy to help. It’s important to differentiate between insurance and your plumbing bond. While the former protects your business, the latter is there to safeguard the interests of the licensing authorities and your customers. If you do not abide by applicable rules, an affected party can file a claim on your bond. For proven claims, you are liable to compensate the claimants up to the penal sum of the bond. Your surety covers the costs at first. Afterwards, however, you need to reimburse it fully. This means that claims can harm your business financially, but they can also prevent you from getting bonded in the future. The wisest course of action is to avoid situations that may lead to claims.